The study is based on LED matrix panel and transform into a three dimension display-cube. 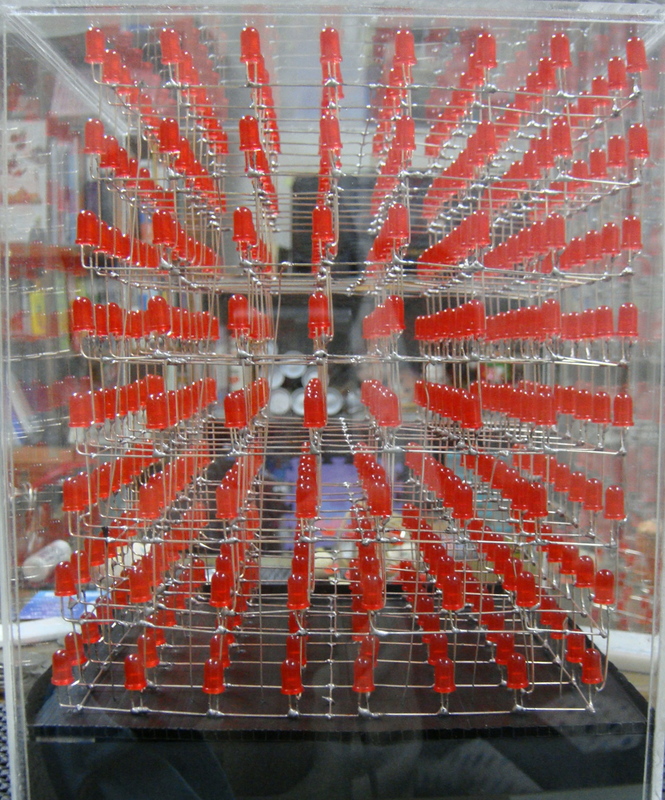 LED cube use operation of LED matrix panel that scans different datas many times. The hardware used in this study is a high speed low power octal flip-flop with a buffered common clock and 3-Line-to-8-Line decoder. The decoder gives clock pulse to flip-flop and then the flip-flop latches the datas from databus to display the image with 8x8 pixels. Finally the bipolar transistors control different layers to display image of 8x8x8 pixels with scanning. The meaning of study hopes to display images with the sense of reality to users.